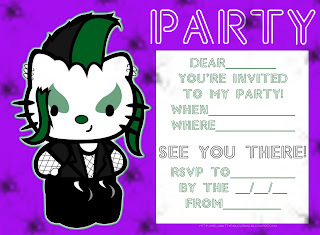 Emo, goth, punk - there's a theme here. 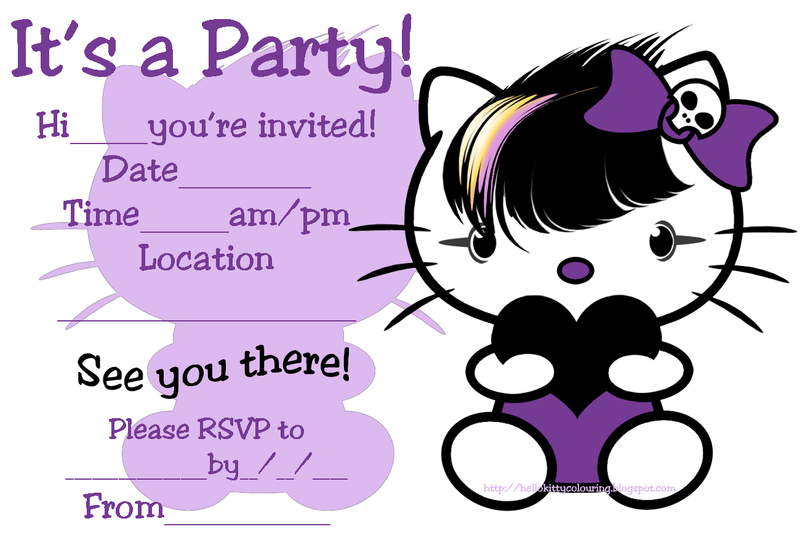 All these free, printable invitations are a little bit quirky so I have grouped them together. They show hello Kitty as a goth emo punky type of character and I love the colours - the reds, black and purples. 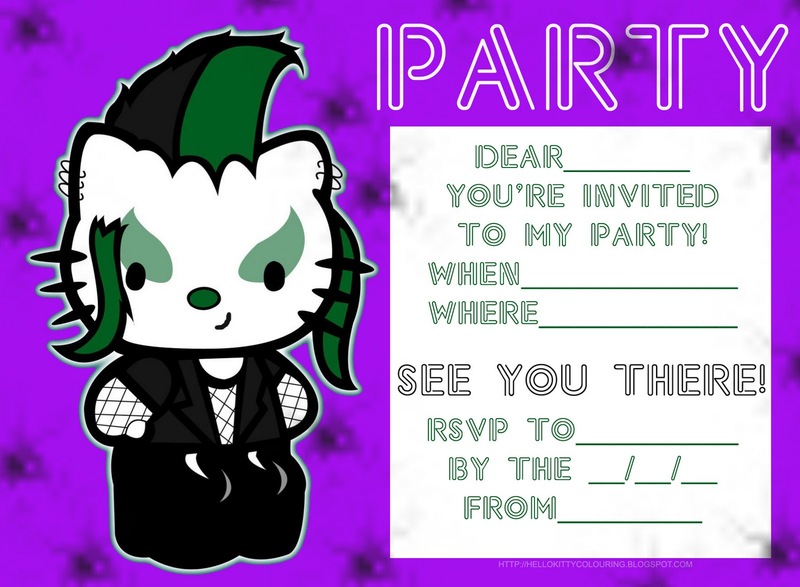 I made these invitations so that you ould print them and use them to invite your friends to your next party. 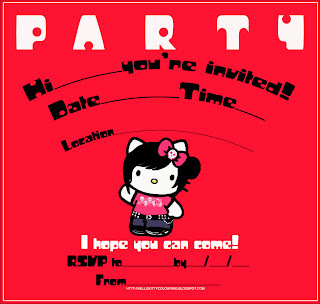 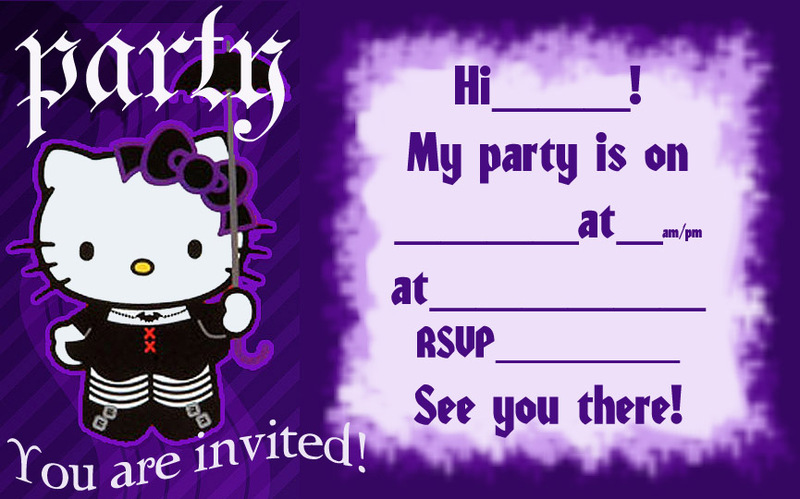 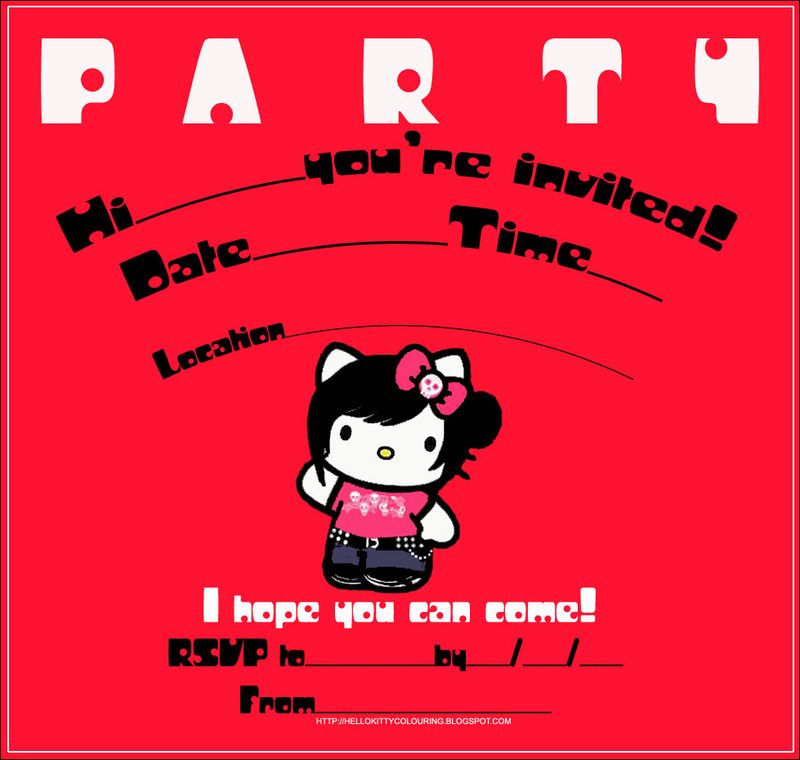 Choose the Hello Kitty invitation you like best and click on it. 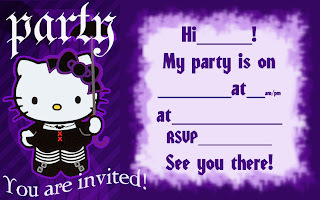 You'll see that it will open nice and big at full size - then, print however many copies you need for the number of party guests you are planning to invite.